Sophisticated, yet relaxed on the inside. Urban, edgy & vibrant externally. 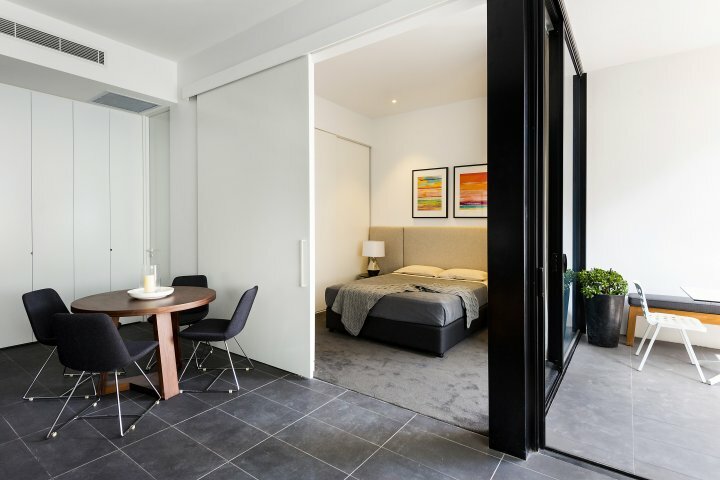 Apartment Hotel East Central is the destination address in Sydneys vibrant CBD. 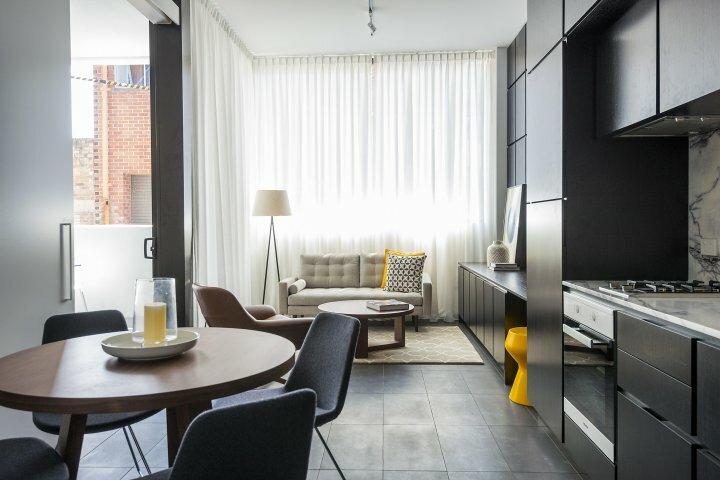 Apartment Hotel East Central redefines superior urban living in the thriving hub of entertainment, recreation and creation in Sydneys artistic heartland Surry Hills. 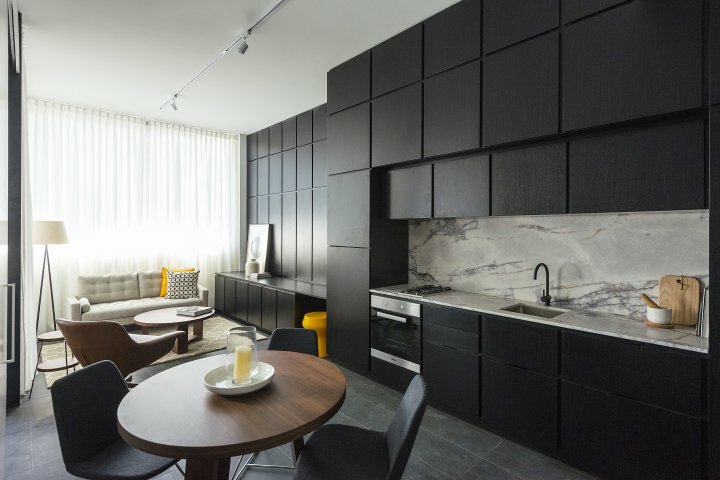 Nibbling on the fringe of the CBD, this impressive boutique block of residential style apartments include a selection of supremely elegant one, two and three bedroom apartments. 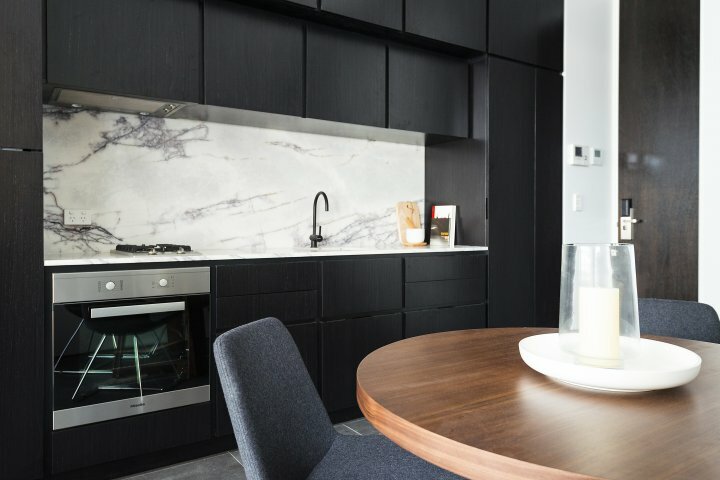 With crisp, sophisticated interiors the focus is on design detail, quality finishes and stylish fixtures that allow each apartment to convey a sense of modern, urban luxury. 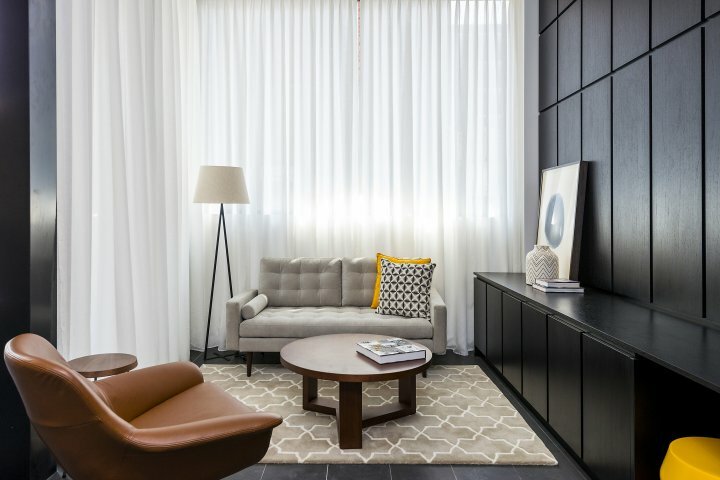 A stunning three bedroom rooftop apartment with its own private lift access. 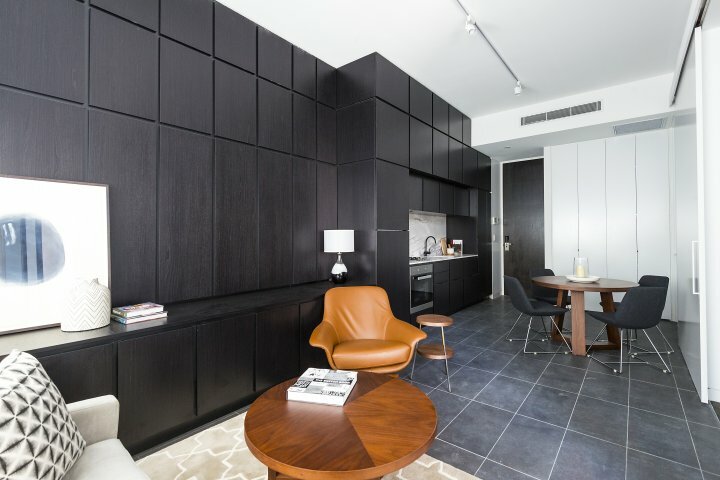 This apartment features three separate bedrooms. The Master bedroom has its own private en suite & walk in robe. The second spacious bedroom also has built in robes. The third spacious bedroom also offers built in wardrobes. 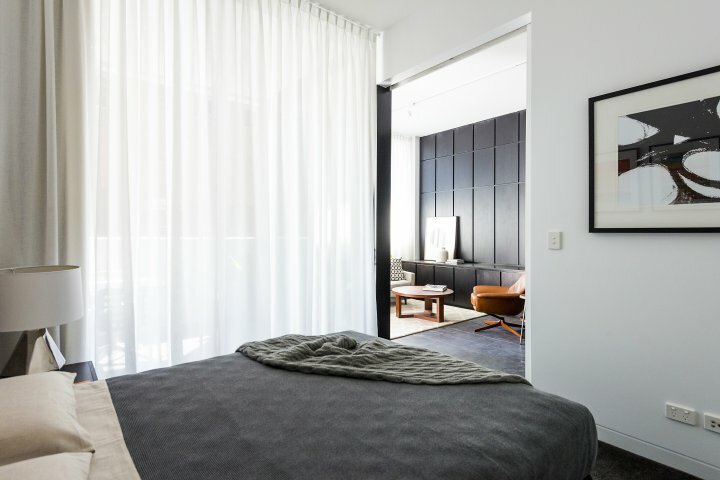 Each bedroom enjoys its own access to the private rooftop terrace. Each bedroom contains a queen or king bed. The living & dining space is one impressive open plan area which opens out to the private wrap around rooftop terrace. Furnishings are stylish & comfortable with sofa, designer arm chairs, designer furnishing & the latest LCD TV. 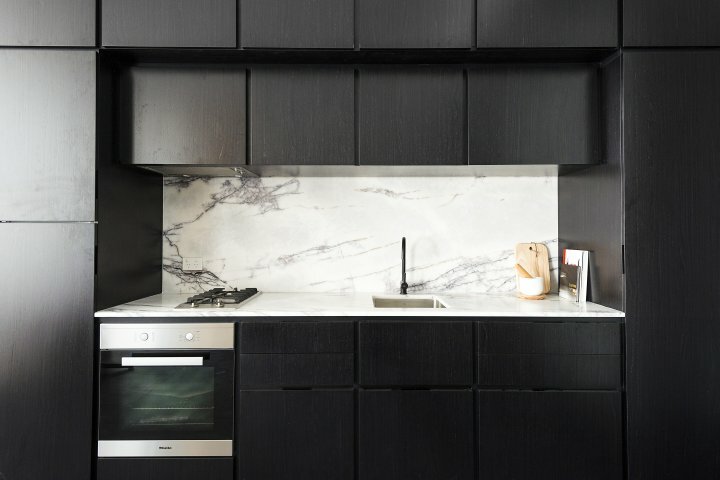 The luxuriously appointed marble kitchen is fully equipped with the latest appliances. 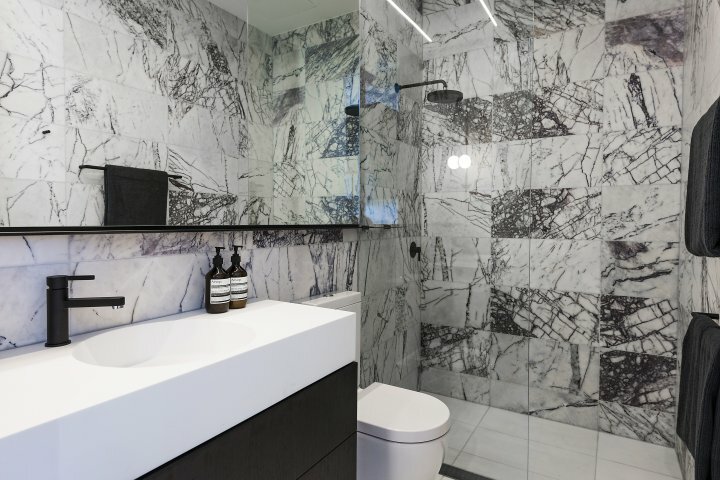 The two stunning designer bathrooms (1 is en-suite) are rich with beautiful marble walls & floor as well as designer toiletries. The terrace is an enviable retreat with a 6 seat dining setting & private seating areas ideal for relaxing & taking in the CBD views. 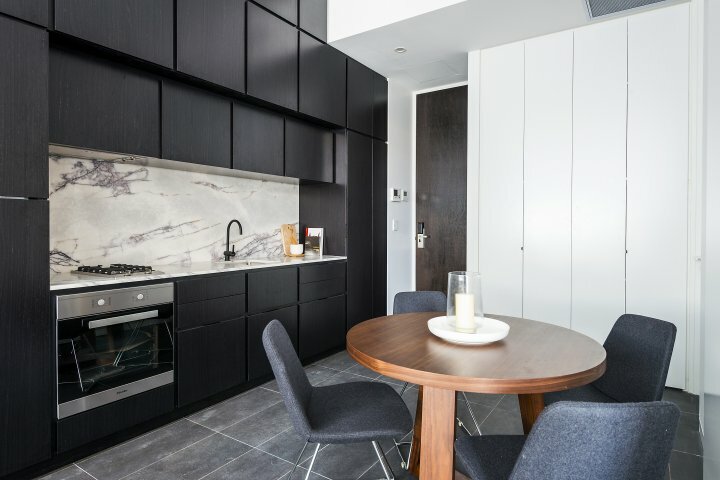 Each apartment has a standard occupancy. One Bedroom 2 guests. Two Bedroom 4 guests. Three Bedroom 6 guests. One extra guest is permitted per apartment, however this must pre-authorized in writing by Hotel Management. Adults are $50 per night and Children are $30 per night. A fold away bed, extra bedding & towels will also be provided. A limited number of car spaces are available to hotel guests. These need to be booked in advance. Parking is charged at an additional rate of $30 per night. Access is after 3pm on the day of arrival and must be vacated by 10am on the day of departure. Due to the limited number of spaces parking cannot be guaranteed.